we started to get since morning errors with Stripe. Everything goes fine on Stripe side, but on our side, we are getting "Incomplete" status, instead of "Paid". We have two currencies USD and RUB. After this incomplete order users get odd balance amount, but still unpaid. I did already opened a ticket, but I know it's going to take at least two days. Maybe someone had the same issue and know how to fix it? We are using latest WHMCS version. Nothing special happened last days and everything worked fine. I am going to attach some screenshots. In payments gateway, it shows everything is "fine". P.S Last payment was 11 USD, but we are getting probably 11 RUB for some reason. Is it possible just to hide currency choosing then you register for first time? Because we are using RUB only for one payment gateway and it could be much better, if everyone had only one option. you could modify the template (or use a hook) to hide gateway(s) based on the chosen cart currency - so if they've selected RUB, they see 1 gateway; if USD, they see the other gateways... in the checkout template, it'd just be one IF statement. there's even 3rd-party addon, Gateway Limiter, where you can assign gateways to countries - but it sounds like you don't need to go that far. Thanks. Actually, I am looking for the way to switch off RUB currency then new clients are registering. We need only RUB for converting then clients are using on Russian payment gateway. Its going to be totally fine if they use USD but we need to enable RUB in settings. Now we have one more issue, because of this. Now every time someone pays with Stripe it does break email also. We wanted to start selling VPS tomorrow, but now it's impossible since people will not get our emails with root passwords and more information. Some clients already missed payment notifications and we are getting pretty negative feedback this week. 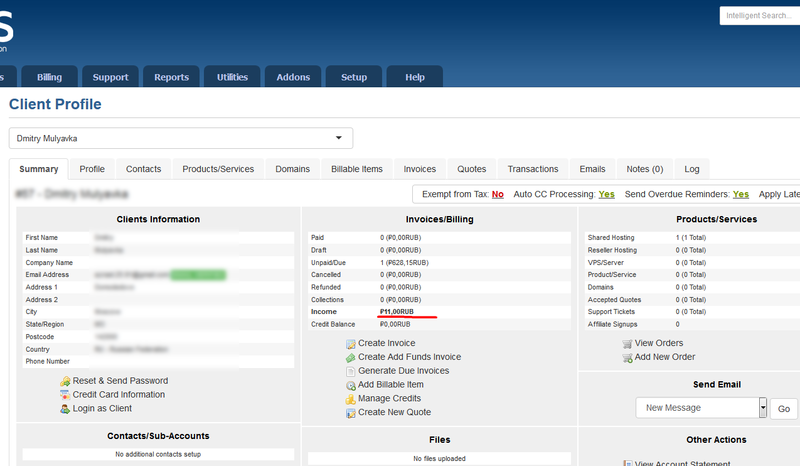 3 most important features of every billing system are now broken in WHMCS. Payment gateway (Stripe), multi-currencies & email. that means new users can't change currency (unless they know WHMCS well enough to do it in the URL!) - this won't affect existing customers as they can't change their currency anyway. that way, you'll be linking to the product, selecting USD and not giving them an option to change to RUB (unless they figure out that RUB is '4', but they won't know that!). if your default currency is USD, you might not even have to do step 2.
step 3 - optional, and perhaps unnecessary, but you could remove the RUB pricing for these products... the downside would be that existing logged in users with RUB as their currency wouldn't see these products. Now we have one more issue, because of this. Now every time someone pays with Stripe it does break email also. We wanted to start selling VPS tomorrow, but now it's impossible since people will not get our emails with root passwords and more information. Some clients already missed payment notifications and we are getting pretty negative feedback this week. have you modified the email templates in anyway ? anything in the activity log ?? Man you rock. Going to try today remove currency forever. Do i need to check this hook just in case every update? We had to switch to SMTP to fix this email issue. I hope it was not related to Stripe. Is there any way to change currency for each user manually? I am ready to correct manually everyone's RUB balance and all databases. Do i need to check this hook just in case every update? not unless WHMCS do something about how sidebars are modified - tbh, I wouldn't worry about this hook until at least v8 (and probably not even then!). in passing, it's probably worth mentioning that the Stripe documentation says that it's not compatible with "Modern" or "Boxes" templates - the implication being that it's compatible only with standard_cart... so I don't know if it would be compatible with your custom template... possibly one to ask the developer or WHMCS support. 1. if the client hasn't made any orders, then you can simply change their currency from the admin area. 2. if they have made orders, then you shouldn't change their currency... the problem is that WHMCS stores orders with no currency attached (the currency is assigned to the client, not the order) - an order for 1000RUB will be stored in the database as 1000, so if you later change the client's currency to USD, it will appear the order was for $1000 USD - which I imagine are two totally different amounts! technically, there's nothing to stop you from doing it, it's just that it will mess with your accounting trail and potentially tax returns too. Sad I don't have another WHMCS version for just testing this. the problem is that WHMCS stores orders with no currency attached (the currency is assigned to the client, not the order) - an order for 1000RUB will be stored in the database as 1000, so if you later change the client's currency to USD, it will appear the order was for $1000 USD - which I imagine are two totally different amounts! I see, i have around 16 active clients with RUB. Can't I just change their currencies, balance and fix transactions? Let's say I see this 1000$ instead of 6$ and just simply fix it in panel? Also what would happen with automatic payment gateway like Stripe? I am just afraid, if its going to take 1000$ every month, after I change currencies. if you got your license direct from WHMCS, you should be able to get a free developers license from them for testing purposes. the advice from Support has always been never to do it, and that's probably good advice. personally, i'd be tempted to leave things as they are - once you have gateways involved, then that's a recipe for issues - and issues involving clients money are not good. you could open a ticket with Support, but I would expect them to say something similar. Stupid questions, but there I am suppose to put this hook? I found /includes/hooks what next? After creating new .php file and putting this hook is not enough. What, else do I need to do? 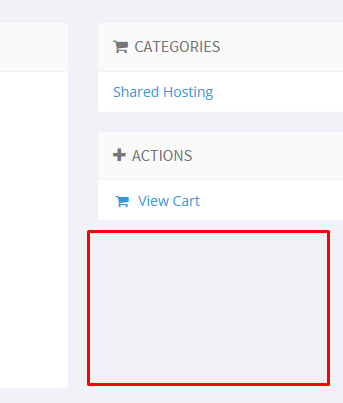 hasn't it removed the currency selector sidebar from the cart ? there was a currency dropdown sidebar there yesterday - it's not there now. P.S Didn't even noticed you can choose currency in sidebar then you are choosing product. Thanks. either solution will remove non-USD currencies from the dropdown - in your case, it will remove RUB as an option. That's awesome! I am going to use hooks now more often. Than you very much! Now I don't need to worry about RUB and Stripe payments for a while. Hope WHMCS will push soon update.